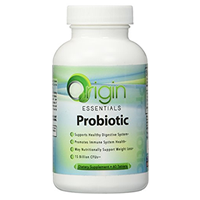 Overall, at 1.5 out of 5 stars, Origin Essentials Probiotic is a below average probiotic. I’m not a big fan of this probiotic. One of the only positives I can find with this product is that you don’t have to refrigerate it. This probiotic is shelf stable for 3 years, which is good, but they can only guarantee the potency at the time of manufacture. When taking 2 tablets a day, it ends up being so expensive. $49.95 a bottle and $1.66 per day is just too much. I also don’t like all the added ingredients in these tablets. I don’t like when companies add a ton of ingredients that we don’t know what they are or even how to pronounce them. I’m not a fan of the strain used, Bacillus coagulans because it creates spores. This strain has been known to give some people side effects such as bloating, abdominal pain and gas. I also just didn’t feel well while taking Origin Essentials Probiotic. I didn’t experience any positives or digestive help while taking these and I honestly felt worse. And last but not least, this probiotic isn’t safe for kids. 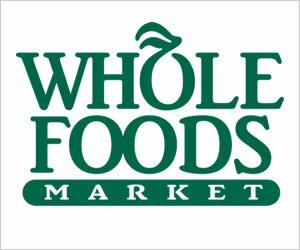 All in all, I don’t like or recommend this probiotic because it’s expensive, I don’t like the strain used, it’s not safe for kids and I just didn’t feel well while taking it. Origin Essentials Probiotic has 15 billion CFUs in 1 strain, Bacillus coagulans IS-2. 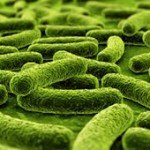 Bacillus coagulans may be able to help with diarrhea, digestion problems, supporting the immune system and balancing out the bacteria within the body. It may also help with inflammatory bowel diseases such as Irritable Bowel Syndrome (IBS), Ulcerative Colitis, and Crohn’s Disease. However, I’m not a fan of Bacillus coagulans. B. coagulans creates spores in the body, which may cause some side effects for some people. For me personally, I almost always get unwanted side effects when taking B. coagulans. Origin Essentials Probiotic doesn’t have any allergens listed. It’s dairy free and gluten free. However, it does have quite a few added ingredients (which I’m not a fan of). These other ingredients include: Microcrystalline cellulose, dicalcium phosphate, stearic acid, croscarmellose sodium, magnesium stearate, silicon dioxide, ns enteric clear, deionized water, eastacryl 30d, kollicoat mae 30, plasacryl and propylene glycol. Quite a mouthful, if I do say so myself! For a 60-tablet bottle, lasting 1-2 months, it costs $49.95. This works out to be $0.83 – $1.66 per day to take these. 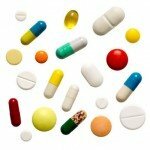 If you take 1 tablet daily, it’s $0.83 per day, which is right about average. However, if you take 2 tablets daily, it’s $1.66 per day, which is very expensive! I don’t think this is a good value if you have to take 2 tablets daily. 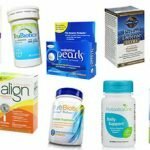 There are definitely better supplements out there for your money. While taking Origin Essentials Probiotic, I did get side effects. I had stomach pain when first taking it. On top of side effects, I just didn’t feel well the entire time I took the supplement. I felt zero improvement with my digestive issues, too. Overall, I was disappointed and just didn’t feel well. Unfortunately, Origin Essentials Probiotic doesn’t have any sort of satisfaction or money back guarantee. This is an incredible let down. I really wish this product had some kind of guarantee to offer us. To buy Origin Essentials Probiotic, click here. Allergy Concerns There are no known allergy concerns with these tablets. Side Effects I did experience belly pain while taking this probiotic.